Celebrating 100 years of service to the community. 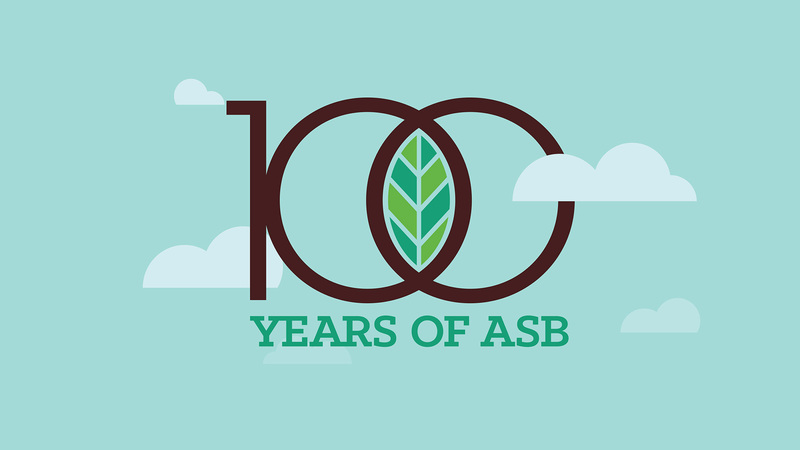 Since 1916, Andover State Bank has grown from a small-town seedling to a thriving business with strong community roots and a new branch. 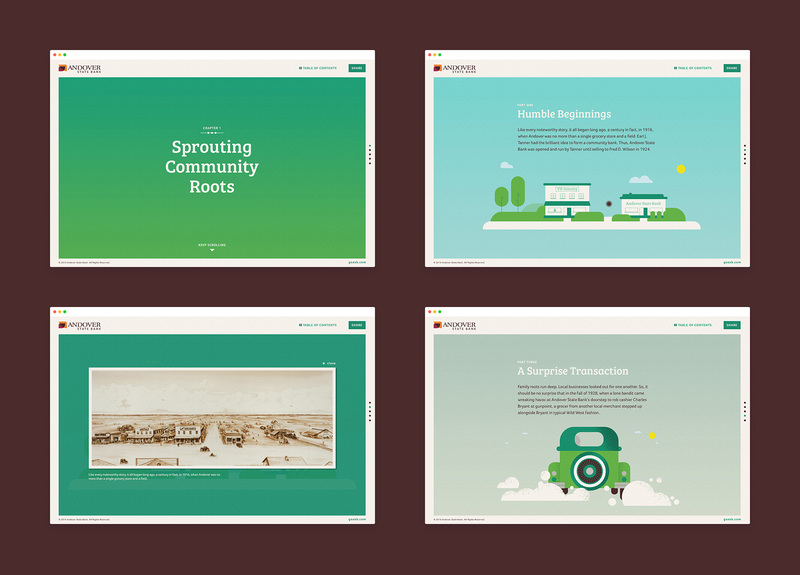 A century of success deserves recognition, so Jajo planned a special engagement featuring interactive storytelling. 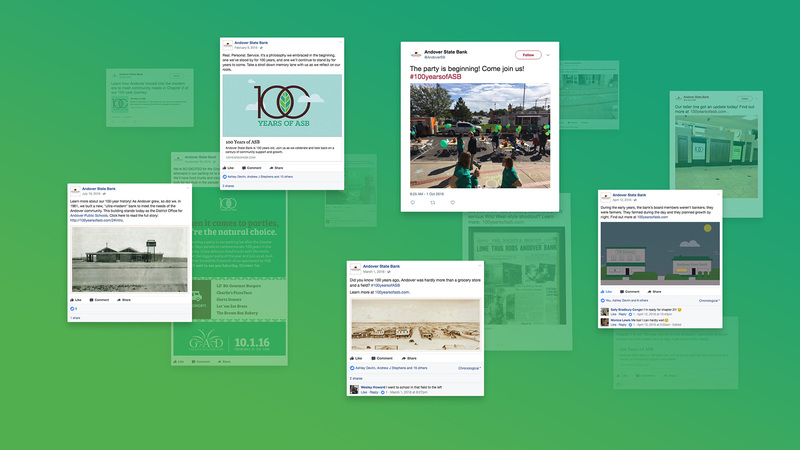 With the centennial on the horizon, we strategized a campaign that would engage customers and sow the seeds of brand recognition for a wider audience. Andover State Bank takes pride in its community roots and storied past. 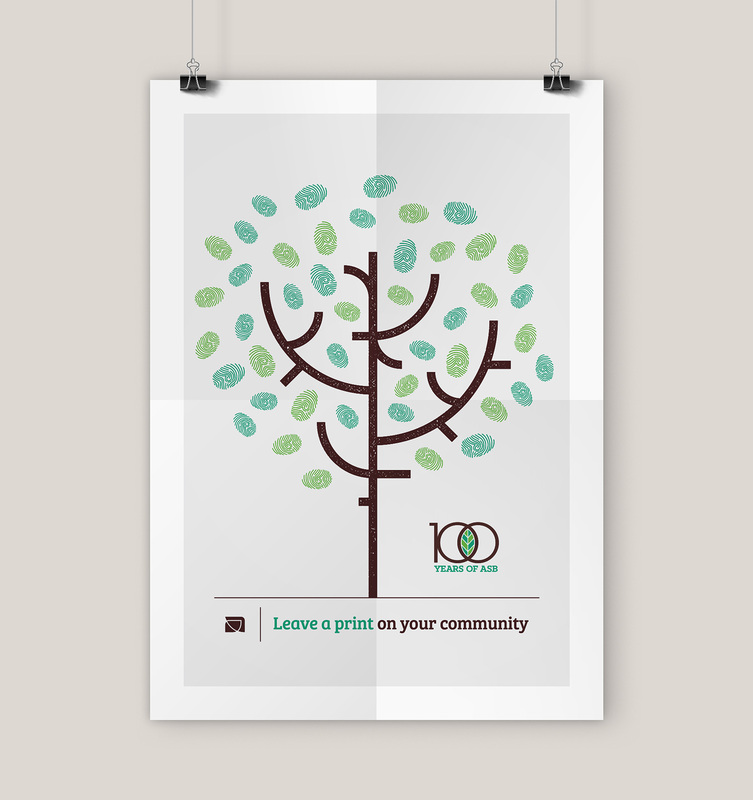 An organic look was chosen to symbolize growth and networking. 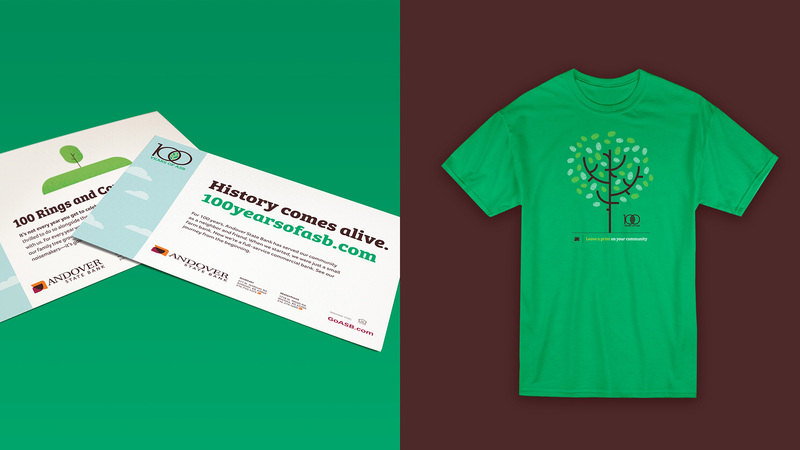 The campaign’s branding depicts interconnected elements, which stand for the relationship between past, present and future; between business and community; and between bank and customer. Built on the heels of the Old West, Andover State Bank managed to weather the Great Depression and adapt to technological revolutions. While other financial institutions cashed in their remaining chips and closed their doors for good, this one has survived into its 100th year of operation. It was a story worth telling. 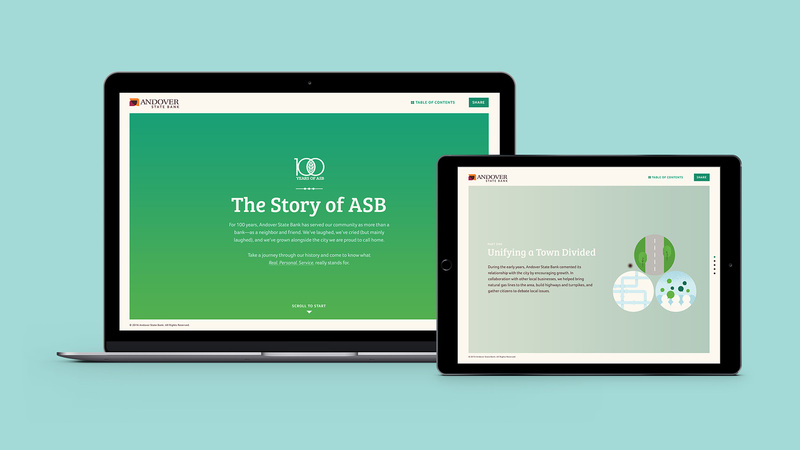 We decided to present an abridged version of that story online, where it could deliver a vibrant, dynamic user experience. In four short chapters, the centennial website narrates a rich timeline with anecdotes about notable people and events. 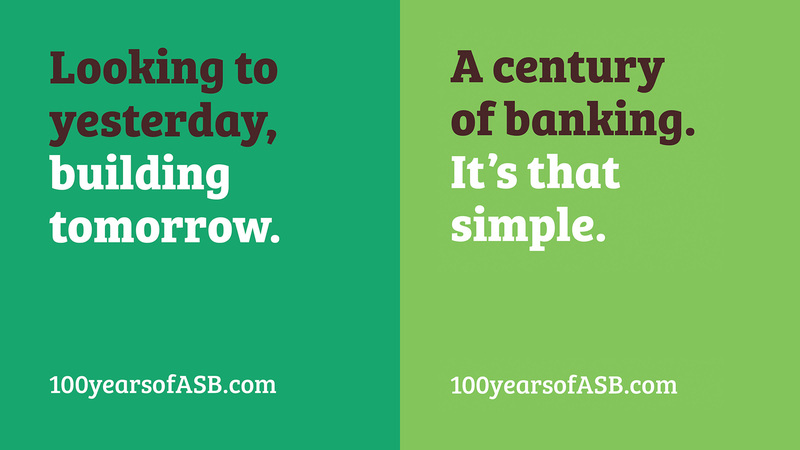 Just like other campaign materials, the website features simple, custom art that reflects the bank’s approachable personality, traditional values and tailored solutions. A fresh color palette casts this century-old business in tones of modernity and innovation. 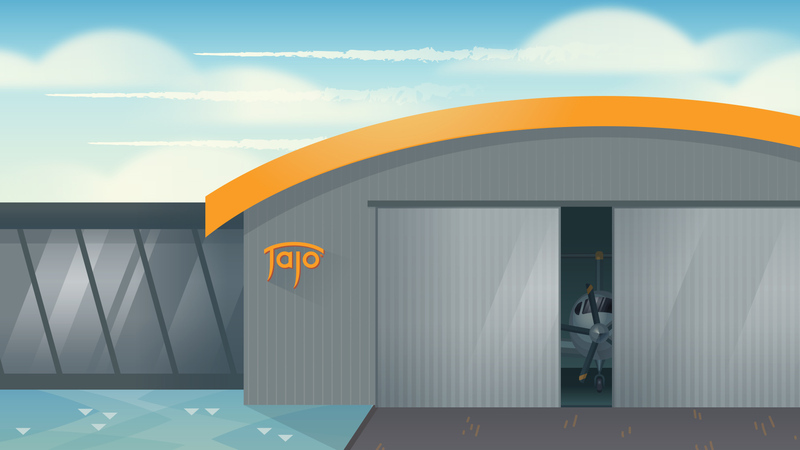 In true Jajo fashion, our design team raised the ante by bringing words and images to life through animation. 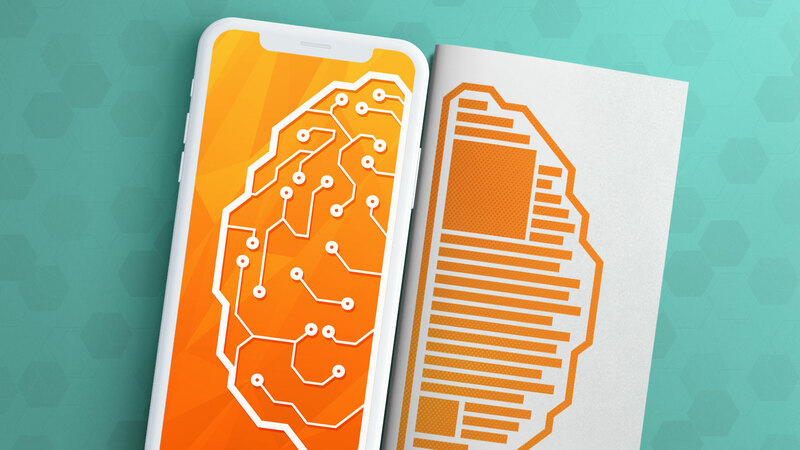 As readers scroll through the text, they trigger movement like pictures in a pop-up book. The animations help the story unfold while adding a touch of nostalgia. Each chapter contains hidden artifacts here and there, such as photographs and newspaper clippings from back in the day. 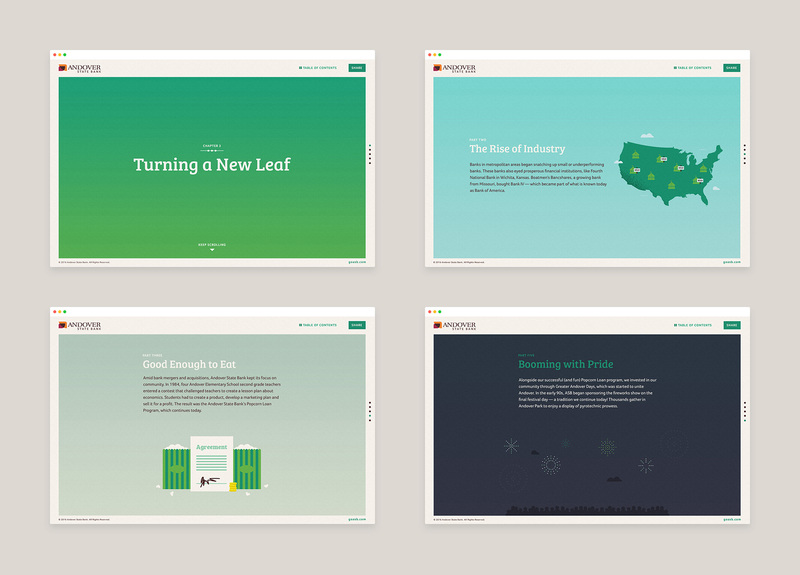 The chapters were released one by one during an email campaign that lasted four months. Social media users responded with likes, shares and old memories they associated with the bank. 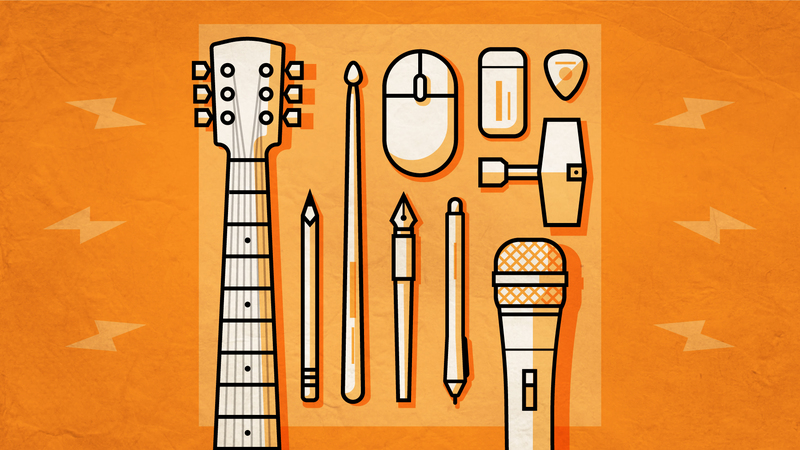 The campaign succeeded in connecting with audiences through storytelling rather than hard sells. 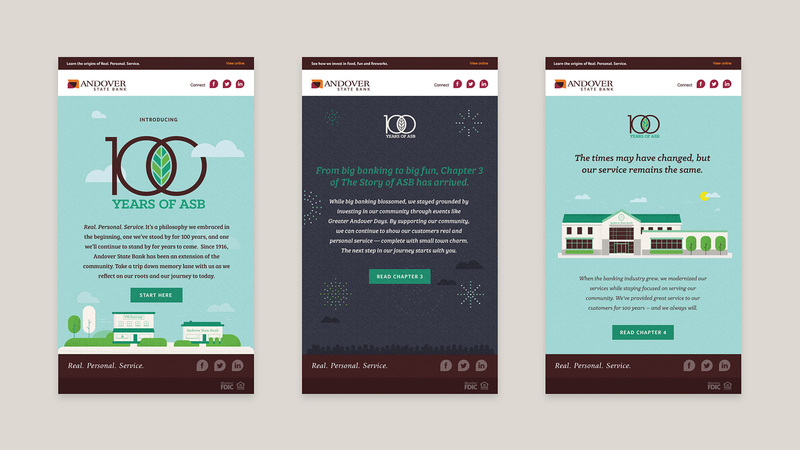 The final chapter concludes with an invitation to the user: Come be part of our story as an Andover State Bank customer.